Posted on September 24, 2015 by Appropos / This entry was posted in New Products, Product Reviews. Bookmark the permalink. 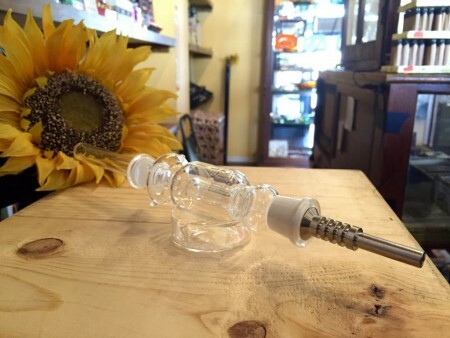 In our latest blog post titled The Great Oil Rig Time Machine we discussed a product that allows you to vaporize essential extracts in a way unlike any other. Today, we’re going to review our “Nectar Collector” style vaporizer, The Green High. First Look: In comparison to todays standard of oil rigs, The Green High may throw you for a loop. It’s vertical design already sets it apart from what you would usually see in the concentrate section of your local smoke shop. 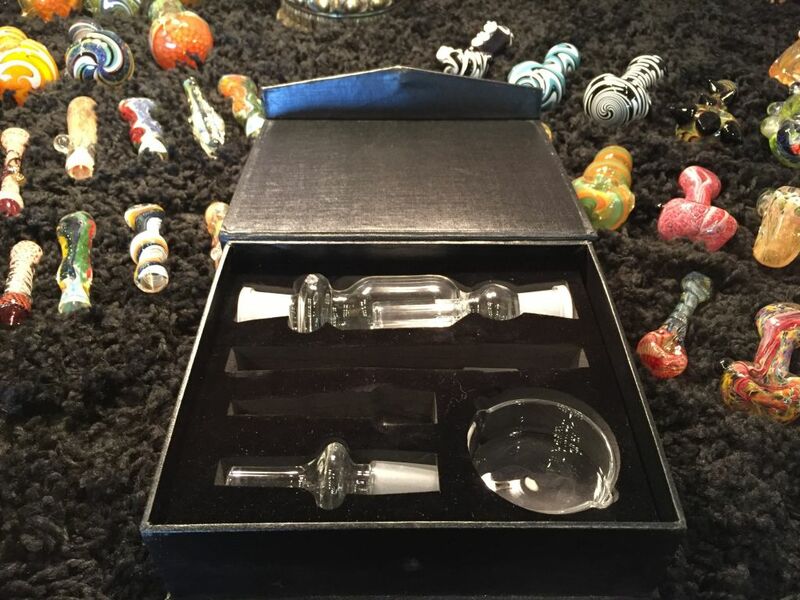 It is comprised of two interchangeable glass pieces: the percolating base, and two different sized mouth pieces. The Green High also includes a titanium nail to vaporize your essential extracts, although glass nail options are available. Functionality: upon unboxing The Green High, you will notice a small glass dish included within the packaging. This is the surface you will use to vaporize the extract on. I’ve found that adding an additional piece of equipment to the entire dabbing process has only proved troublesome. It may take some time to fine tune the right amount of extract you want to use in the dish at a time. In my opinion, the percolation system utilized with The Green High can surprisingly stand toe to toe with other big name brands when speaking in the vein of smoothness and draw in each pull. It would seem that no matter how much extract I chose to use within the dish, each pull was delightfully cool and smooth. Though a stand is not included within The Green High packaging, stands for vertical vaporizers are available.